Nissin i400 TTL Flash for Sony cameras is a simple but powerful compact flash designed for use by both pros and enthusiasts. It features ADI / P-TTL functionality and a guide number of 131′ at ISO 100 and in the 105mm position for providing coverage within a zoom range of 24 to 105mm, or down to 16mm with the built-in wide-angle diffuser. The shoe-mounted flash head tilts upwards 90° and rotates 180° in both directions for complete 360° coverage. The i400 features full manual control as well as a range of preset modes to achieve just the right lighting setup. Choose from slow-speed, high-speed, and 1st and 2nd curtain synchronization in addition to variable power from 1/1 to 1/256. The flash runs on 4 AA batteries. 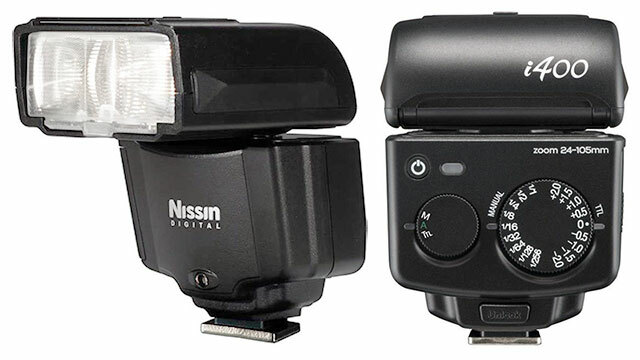 Nissin i400 TTL Flash for Sony cameras (pre-order for $149.99) is a simple but powerful compact flash designed for use by both pros and enthusiasts. It features ADI / P-TTL functionality and a guide number of 131′ at ISO 100 and in the 105mm position for providing coverage within a zoom range of 24 to 105mm, or down to 16mm with the built-in wide-angle diffuser. The shoe-mounted flash head tilts upwards 90° and rotates 180° in both directions for complete 360° coverage. The i400 features full manual control as well as a range of preset modes to achieve just the right lighting setup. Choose from slow-speed, high-speed, and 1st and 2nd curtain synchronization in addition to variable power from 1/1 to 1/256. The flash runs on 4 AA batteries. This unit is compatible with Sony’s Multi Interface Shoe. Here’s a throwback for those of you who remember Honeywell “Potato Masher” strobes, Nissin has announced their MG10 Advanced 2.4GHz Wireless TTL Strobe with classic “Potato Masher” styling. New England Imaging Dist. (NEID), the North American distributor of Nissin Digital Products, in conjunction with Nissin Japan Limited, has introduced the new MG10 Advanced NAS (Nissin Air System) 2.4GHz wireless strobe for both on-camera and studio photography. This new innovative flash will be available July 2018. Designed as a multi-purpose flash, the Nissin MG10 can take you from the fast pace of a model runway shoot, to an outdoor scene where high power for HSS shooting is a must. Whether you are working quickly with the flash on camera or creating stunning lighting effects with off camera flash or in a studio setting, the Nissin MG10 has you covered. 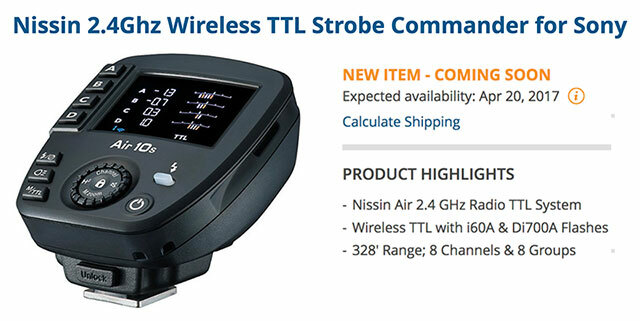 With a guide number of 262 feet (80 meters) and 165 watt seconds, this high-power advanced MG10 strobe is the latest addition to the award-winning Nissin Air System, a proprietary wireless TTL communication system developed by Nissin for 2.4GHz radio transmission. The hand grip can be used to mount the flash on either the left or right side of the camera with height level adjustment. There’s also a shutter release button on the handle and standard ¼-inch, 20 adapter under the flash head for mounting to a light stand. Every MG10 includes a magnesium quick release mounting “L” bracket, AA battery magazine (batteries are not included), Li-Ion battery magazine, ball head, filter holder and wide-angle diffuser. It also fully supports Air 10s and Air 1 wireless commanders. • Fast recycling time with full power – 1.5 seconds when using Li-ion batteries with Nissin PS8 power pack; 3.5 seconds when using eight AA batteries. • High power modelling lights (LED) – See your lighting set up before you take the shot. 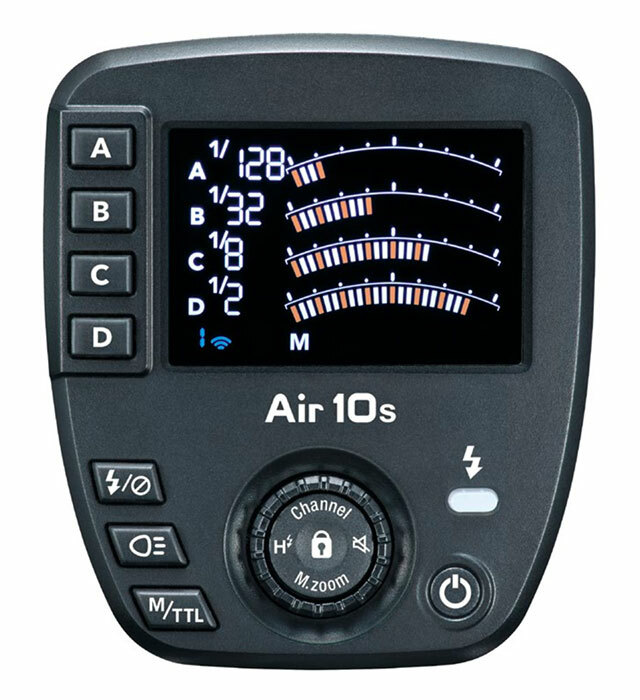 • Pair MG10 with Air10s – The Open mode allows multiple Air10s units to pair with MG10 strobes, allowing for multiple commanders to control the same set of strobes. • Independent control with a maximum of 8 groups – The MG10 will support 4 groups of strobes in both the basic and advanced modes. • Sustainable performance, easily updated via a Micro SD card slot – The MG10 is equipped with a Micro SD card slot for easy updates. 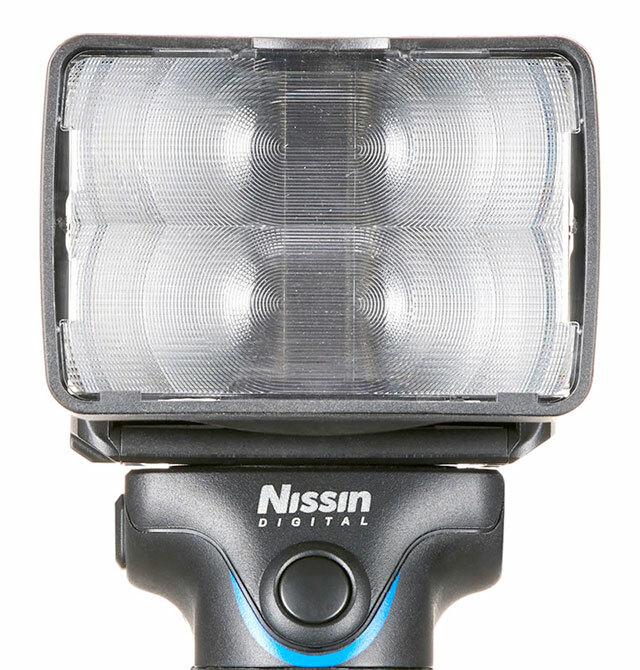 Nissin plans on including a Micro SD card slot in all future strobes and commanders. 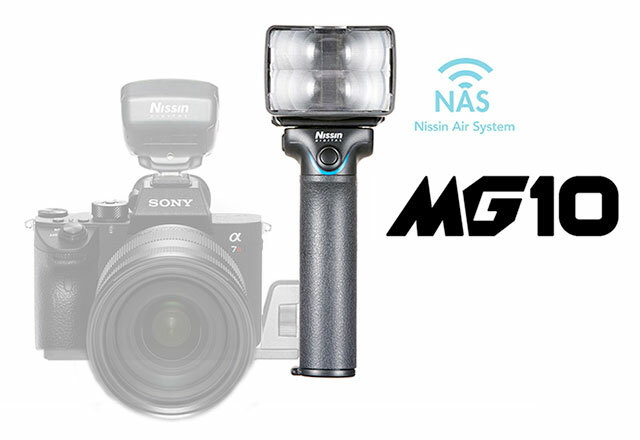 MSRP for the Nissin MG10 is $599.99 USD (MG10 flash only) and $699.99 for the MG10 with Air10s. Delivery in the United States is expected mid-July. Power Source: 2x 26650 Li-ion batteries (4000mAh or higher) or 8xAA rechargeable batteries. Batteries are not included. 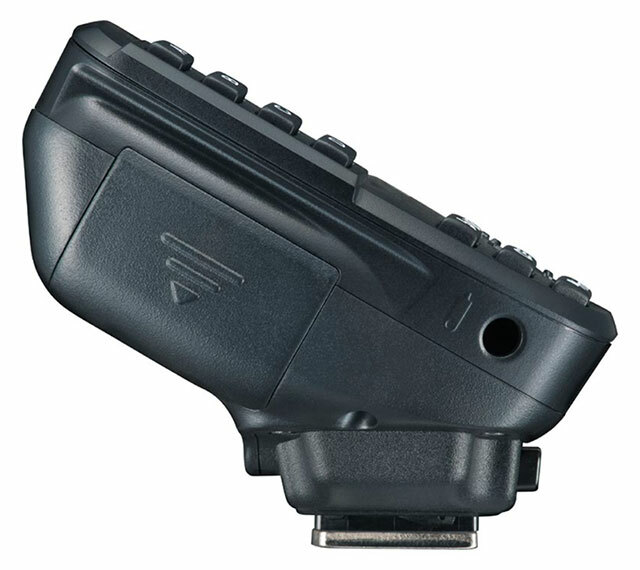 Nissin Air10s Wireless TTL Commander featuring 8 channels and flash groups for Sony, Canon, Nikon, Fuji and M43 cameras. It’s compatible with Nissin i60A and Di700A flashes and the Nissin Air R wireless receiver. It will begin shipping April 2017 with a suggested retail of $170 USD. Nissin Air10s 2.4Ghz Wireless TTL Flash Commander appears to be a HUGE upgrade from the current (and rather buggy) Nissin Air 1 Commander! Nissin Air10s can be easily updated via a Micro SD card slot that allows users to update the device easily by themselves. Nissin plans on putting a Micro SD card slot on all future strobes and commanders. The deviceâ€™s range of use has been greatly extended (when compared to older models) to a maximum distance of 100 meters, and the TTL Mode, high speed sync (FP sync) supporting up to 1/8000 High Sync Shutter speed and other functionalities can be controlled remotely. 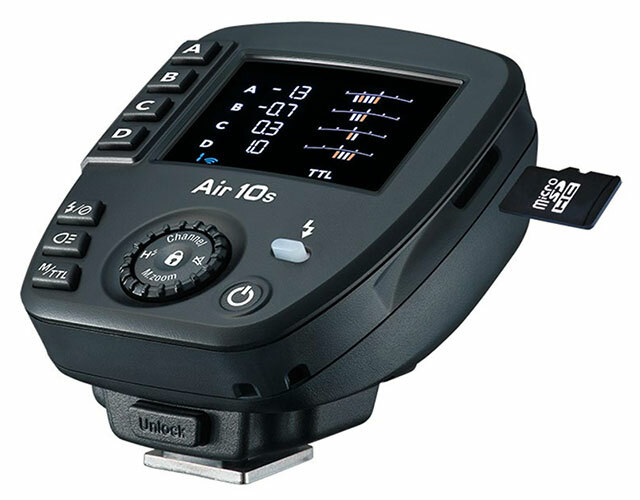 Nissin Air10s dial layout with Color LCD display allows users to control a large group of strobes from a dark indoor studio, to bright outdoor environments. The device has a â€œTTL Memory Function, which memorizes the exposure during a TTL Mode shoot, and allows for a one-touch switch to manual mode. You can save time during the strobes setup as the device takes the TTL exposure data, calculates the individual output internally, and transforms the exposure data into manual mode for advance adjustment. Open Mode allows for multiple Air10s units to pair with the same group of strobes. This means, the need to repair devices is eliminated, and even if cameras are changed, the same settings can be used as the shoot continues. This convenient functionality allows multiple cameras and commanders to share a same group of NAS strobes. Crossover Control offers Full Control of Different versions of Nissin Air System (NAS) Strobes. 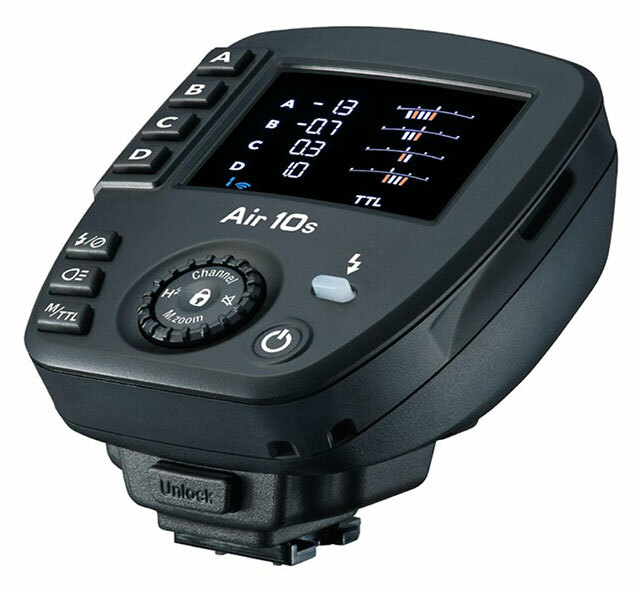 Even if your Air 10s is for Sony Mount, it is possible to pair it with Canon, Nikon and other differing version of NAS strobes (i60A, Di700A), and you can retain use of all the functions, including TTL Mode (This applies to the other type of Air10s versions as well). Air10s specs and model design are subject to change before the release date without prior notice. *5 â€œ8 groupsâ€ and â€œmodeling lightâ€ are functions prepared for Nissin products to be released in the future. It does not correspond to the current model.